← Romantic Tailgating Date Idea – Oh Yeah! It’s amazing to me how often the Lord will get my attention by defining two words. One is usually what I should be doing, and the other is what I tend to do left to myself. Defer – to submit to the opinion, wishes, or decision of another through respect or in recognition of his or her authority, knowledge, or judgment. How often do you disagree with your spouse? If you’re honest and like most couples–probably on a daily basis. It’s not surprising since we are different, but we don’t have to constantly differ with them. To do so produces strife and all kinds of discontent. When was the last time you willingly deferred to your spouse during a disagreement? It is certainly the quickest way to end an argument, but not the easiest thing to do. Deferring is taking our will and making it bow to another. It places our spouse in a place of honor and trust when we may or may not want to honor or trust them. And it allows God space to do what only He can do–change your spouse’s perspective on a matter. I have a personal example I want to share with you. Sadly, I didn’t remember. Why? Because I had chosen to differ with him thus disregarding his advice. On the other hand, Tom chose to defer to me waiting on God to open my eyes. Tom doing this wasn’t a lack of leadership on his part–as I might have thought in our earlier years together–he was trusting God to help me see what he knew was right all along. Rather than dig his heels in and make me defer, he chose to wait patiently for God to reveal it to me. This is what God-honoring leadership looks like. 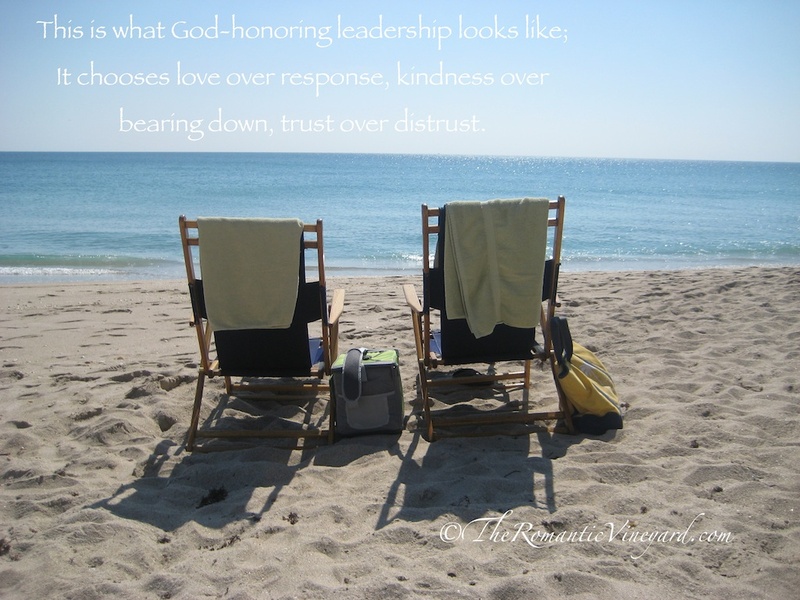 It chooses love over response, kindness over bearing down, trust over distrust, etc. Another area where couples can often disagree is in the area of finances. You may want to do things one way, and your spouse prefers another. How do you come to a place of resolve? By deferring to the other and trusting God in the process. This entry was posted in Christian Marriage, communication, Conflict, Growing Strong Marriages, Leadership, Roles In Marriage and tagged Christianity, Defer, Differ, Do You Differ Or Defer, God, Leadership in marriage, Lord, Religion and Spirituality. Bookmark the permalink. 7 Responses to Do You Differ or Defer? I only wish I was better at doing this! Seeing it is the biggest step towards change, don’t you think? Thanks for your continual encouragement. You’re a blessing to me. We all bring our talents and skills into our marriage. I think it’s important to understand our spouses strengths and weaknesses as well as our own. My dear wife is very sensitive and is a nurturer by nature; me not so much. Her talents were perfectly suited for being a wonderful mother. Throughout our marriage I always deferred to my wife’s knowledge and talents in caring for our children. Whenever one of our children were sick my wife would always ask for my input and I gladly gave it but in the end, I would defer to her better judgment. The same would hold true for deciding on what schools to choose for our children. Although some discussions were more lengthy, in the end, I would defer to her better judgement. There were plenty of times when my wife would defer to my judgement as well. We can’t be good at everything, It’s important to have faith in our spouses and know when to rely on their talents, experience and better judgement. Hopefully, the talents and experience compliment each other’s and grow in confidence throughout your marriage. Excellent point. It’s easiest to defer to our spouse when we are confident of their strength in that area. But the biggest challenge for most is when you don’t agree. That’s when it takes a deeper resolve to trust and respect your spouse. Only God can enable us to do this well and defer to them. Left to ourselves most of us end up disagreeing and maybe even end up fighting about it. I’m always amazed at how God leads us to write about similar topics. 🙂 You are a dear friend. Thanks for the link up!